Hey dolls!This James Dean t-shirt really made my day. I just love it, and i love James,ohhh that Hollywood time was the best. So girls i love to dress a little more retro lately, so many trends to chose, but i am a very picky girl. 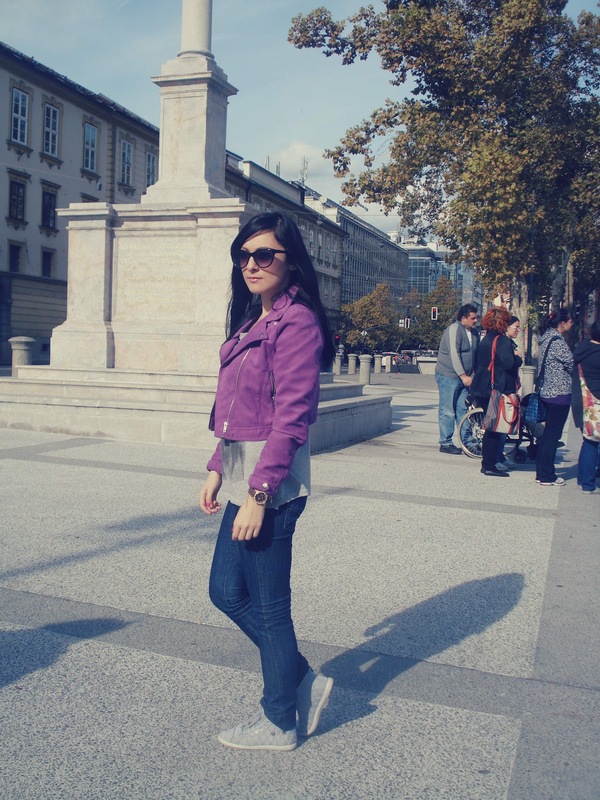 Wearing: Zara jeans, H&m jacket,D&g James Dean t-shirt , diy shoes and some random watch. 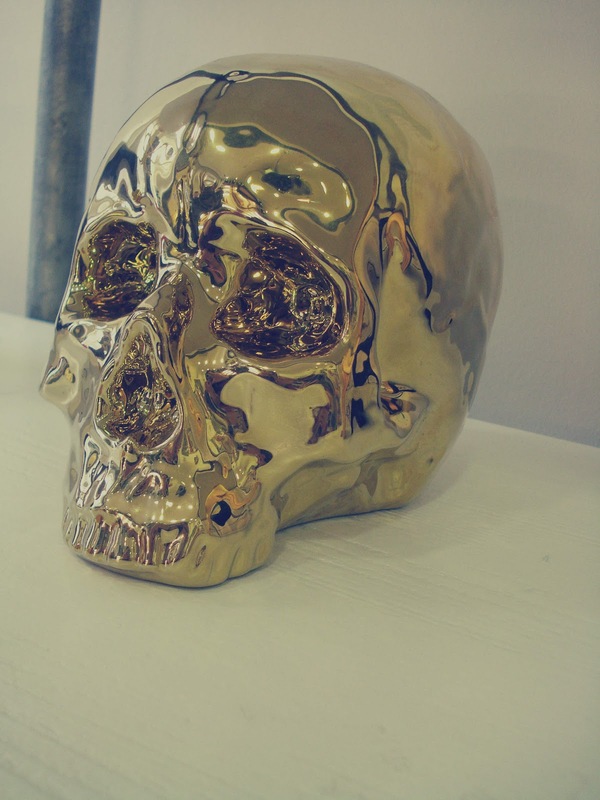 I am in love with this gold skull. So me!!! Its perfect for my new apartment. So fierce!! Looks great, love such tshirts! U look beautiful in it! love the color of your jacket!! 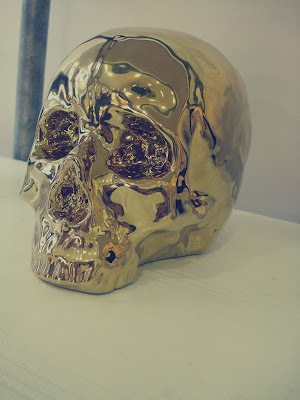 And the skull is just amazing!!! hope to see how you style it in your house!!! 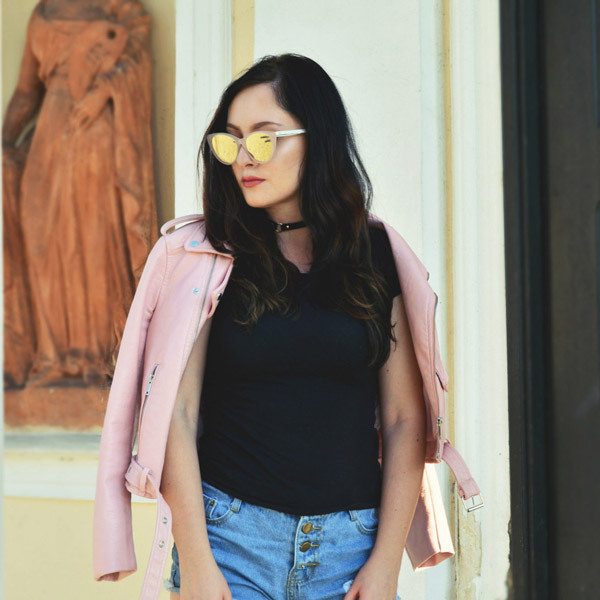 Now I follow you with GFC and BLOGLOVIN!! Follow me back if you like please!! We can follow each other, it would be a pleasure!!! Thanks Francesca =) following you back!! i love the gold skull, where did you get it from! LOVE LOVE LOVE the jacket! So lovely! Thanks dear!! sure,i would love that!! That is a great tee and love it paired with the purple moto jacket! Gorgeous! Thanks Fabrizia!Sure,i would love that!! In love with your outfit and especially with your jacket! omg purple biker jacket <33 Love the skull aswell! I love James Dean and I love that purple jacket. Such a fun color to make your outfit pop. New follower here, hope you can stop by my blog soon. Thanks Fabrizia =), sure we can!! I love your purple blazer, and the shirt is cute too! I'm the 248 follower of your pretty blog :) if you like mine too I'm waiting for you! following you now , hope you can follow us as well ! love the shirt a lot! !